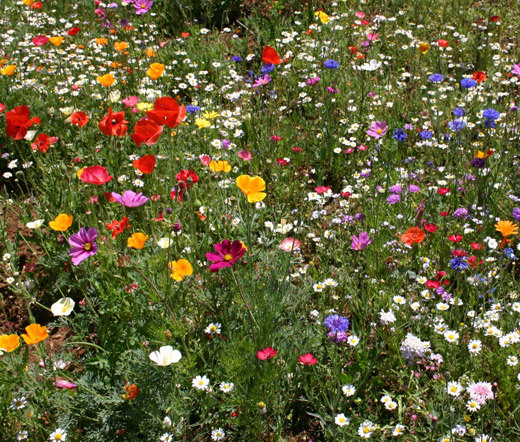 The Cascade Kaleidoscope Mix has over 35 different species of annual and perennial flowers. Cascade Kaleidoscope Mix offers a wide range of different colors and shapes that will blend excellently with any garden. This mix is designed to have a longer bloom time, a broader adaptation to different soil compositions and climates and more color. Since Cascade Kaleidoscope Mix is composed of a broad diversity of species, it works well as a test plot to help individuals decide on which flowers they prefer to replant the following year.